WATERLOO – Researchers at Wilfrid Laurier University have received more than $2.7 million in funding through the 2014 Insight Development and Insight Grant program, which is administered by the Social Sciences and Humanities Research Council (SSHRC).  A wide range of Laurier research projects received funding, including: a study of community economic development in Northern Canada; an investigation into the nuances of everyday interpersonal interactions; a study documenting the history of the Waterloo County House of Industry and Refuge; and an investigation into how the social economy of food benefits marginalized groups and fosters social innovation. “The SSHRC Insight Development and Insight Grant results show that Laurier’s researchers are successful in a highly competitive environment where success rates are down overall,” said Deborah MacLatchy, vice-president: academic and acting vice-president: research. Insight Development grants fund innovative approaches to research in its early stages, provide high-quality research experiences for students, and mobilize research knowledge for economic and social impact. Insight grants support research excellence in the social sciences and humanities and support longer-term research programs. The funding will support research for up to five years. “This level of funding not only helps to further our faculty members’ research programs but also provides the resources necessary to support research experiences for students,” said MacLatchy. Kim Anderson: Indigenous Knowledge Transfer in Urban Aboriginal Communities ($329,085). Alison Blay-Palmer: The Social Economy of Food: Informal, Under-recognized Contributions to Community Prosperity and Resilience ($493,430). Scott Ensign: Economic and Community Development: Examining the Causes and Consequence of Change in Sparsely Populated Areas of Northern Canada ($238,250). Nathalie Freidel: L'économie des lettres: des épistolières gestionnaires au Grand siècle ($21,166). Sheri Lynn Gibbings: Urban Infrastructures and Informal Sovereignties: Understanding Twenty-First Century Urban Politics ($72,765). Alexandra Gottardo: The Process of Learning to Read in English: The Unique Challenges Faced by Chinese-English Speaking Learners ($295,932). Ivona Hideg: A Double-edged Sword of Benevolent Aexism: How Benevolent Sexist Attitudes Promote and Undermine Gender Diversity in the Workplace ($114,604). Christian Jordan: Agency and Communion Motives in Self-Enhancement Processes ($130,994). Hae Joo Kim: Why “La Table” Appears Feminine, But “The Table” Does Not: Effects of Language on Product Anthropomorphism ($54,548). Donna Kotsopoulos: Beyond Counting Toes and Fingers: Young Children's Mathematical Readiness for Schooling ($248,598). Ginette Lafrèniere: Life in the Poorhouse: A Historical Digitized Case Study of the Waterloo County House of Industry and Refuge ($74,916). Charles Levkoe: The Antinomies of Non-Wage Labour in Ontario's Agricultural Sector and the Alternative Food Movement ($63,933). Julie Mueller: Developing Computational Thinking (CT) Using Graphical Computer Coding across Disciplines and Age Levels ($71,420). Kate Rossiter: Recounting Huronia: An Arts-Based Participatory Research Project ($74,760). Pamela Sadler: Patterns of Temporal Entrainment in Dominance and Affiliation During Social Interactions and Their Role in Interpersonal Effectiveness ($241,930). Catherine Stewart: Seeking Justice for Child Abuse Victims with Developmental Disabilities: Perceptions of Parents and Crown Attorneys ($64,761). Anne Wilson: Reducing Social Vulnerability for Extreme-Heat Events in the Elderly: The Role of Risk Perception in a Social Environmental Context ($74,942). Xuan Zhao: Incentives for Sustainable Operations in the Energy Sector ($69,325). The Social Sciences and Humanities Research Council (SSHRC) is the federal agency that promotes and supports postsecondary-based research and training in the humanities and social sciences. For more information, visit www.sshrc-crsh.gc.ca.